Which rooms demand the most storage? I’ve been pondering that question recently and to my mind it’s the kitchen and bedroom by far. Clothes and accessories can soon take over if there aren’t sufficient places to hang or fold them; similary pots, pans and groceries need to be kept in check in the hub of the home. If these spaces are not well thought out in terms of layout and storage needs, they will not work efficiently. But more than that; they have to please the eye if we are to enjoy spending time in them and be motivated to keep them clean and tidy. The fitted furniture specialists, Hammonds invited me to take a look at their website to see how they tackle these busy zones with an extensive collection of designs created to perfectly fit your home and lifestyle. Clothes, coats, shoes, bags and other items soon overflow in the bedroom if there isn’t adequate wardrobe space and drawers, or rails and shelves. Not many of us are fortunate to have a separate dressing room, so it’s therefore important to plan our bedrooms properly, making the most of every available bit of room. 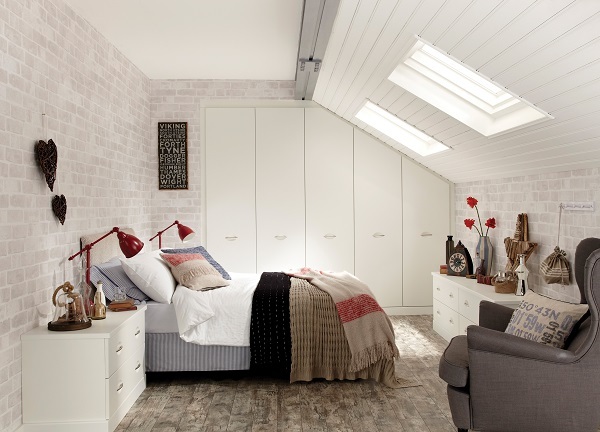 A streamlined, clever and creative range of bedroom furniture is something we can all aspire to. Well designed and installed, such furniture can totally transform a space, making it look stylish while also working hard at concealing and organising your belongings. I love the way the wardrobes above have been built to fit the room, nothing is wasted and it looks very unobtrusive. 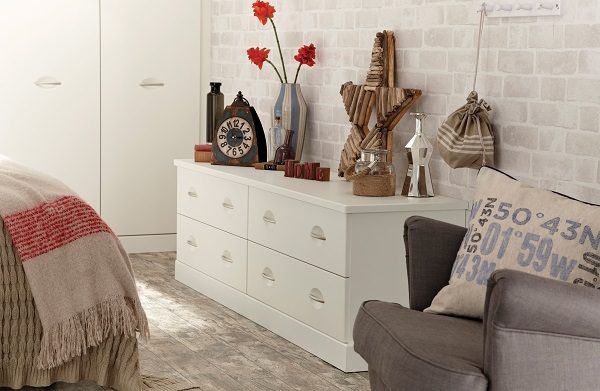 Another great alternative is sliding wardrobe doors, especially when there isn’t a sufficient gap between a bed and the wardrobe to open its doors properly. 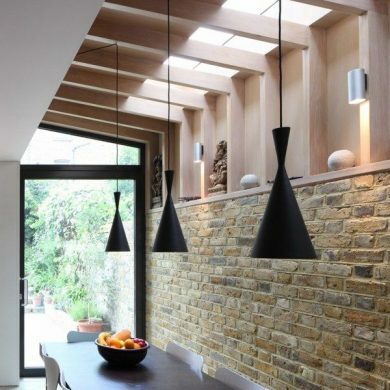 The fact they go right up to ceiling height is another bonus, making full use of the vertical space, as you can have some high shelves built behind for things you don’t use as often, all neatly concealed by those sleek doors. Even if you like a vintage look, you can still achieve it with modern furniture like this; simply tailor your decor and accessories accordingly, as in the room below. The most perfect kitchens are both beautiful and practical, with ample space to accommodate all those pots, pans, crockery and groceries. But as we often use our kitchens not just for cooking, but as a laundry area and cloakroom for coats, bags and shoes – possibly pet items too – this multi-functioning ‘heart of the home’ can soon feel cluttered and chaotic. 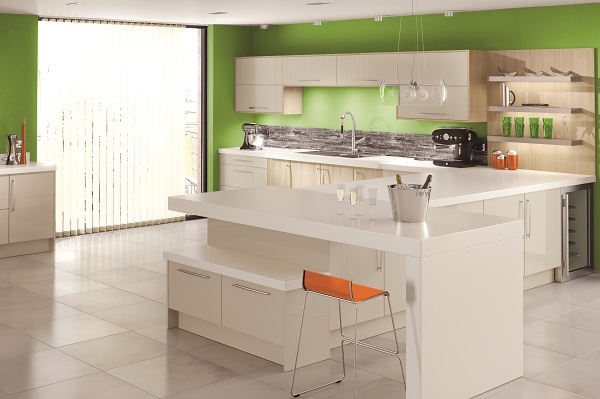 A well designed kitchen can take all your needs into account and incorporate clever solutions to really maximise the space, without compromising style or quality. 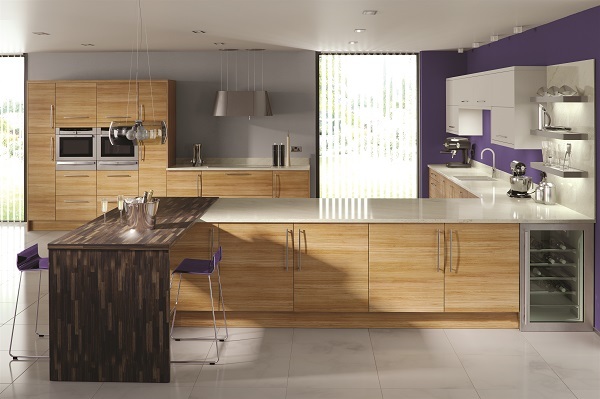 With a Hammonds designed kitchen you can get all of this, whether you are looking for classic or contemporary, and all made to measure in consultation with you, so it is unique to your home, built with a lasting style that’s all your own. I’m very impressed with the wide range of styles and the design options available, having checked out the Hammonds website. It’s made me look at our own bedrooms and kitchen more critically, I’m sure there are improvements we could make and ultimately I would love to use the bespoke services of Hammonds!